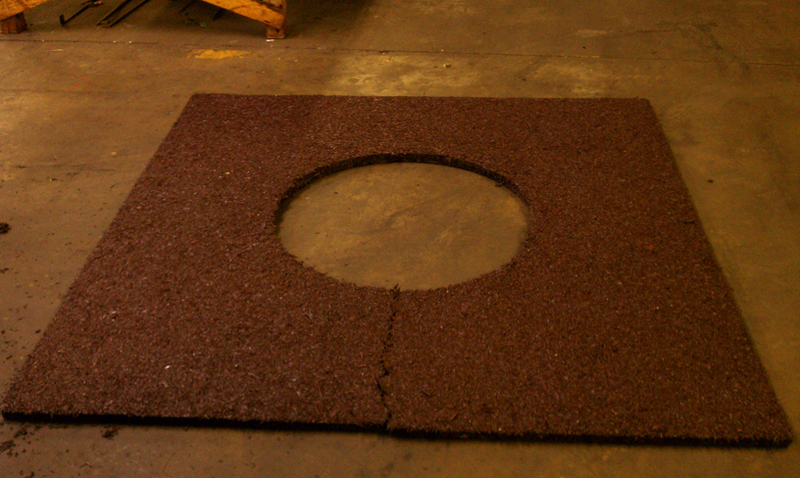 The tree rings we currently sell are truly circular and measure in diameters of 20" up to 60"
Due to the request of some large international local governments who have many square planters, we asked the factory to make a more square tree mat with a circular cut out and they were kind enough to comply with our request. But for the homeowner with a lot of trees these mats offer another addition to the suite of mulch mat products that Conservastore offers. - We estimate the material should easily last 5 years with very little care required. The material will discolor with age but it should discolor uniformly if the sun hits it in an equal manner throughout the year.